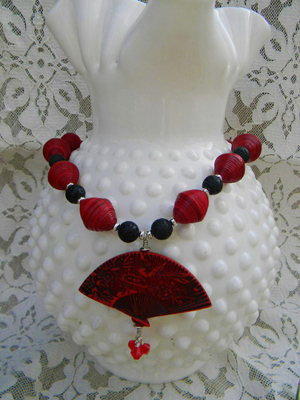 I am going all out red on this Shanghai Red Necklace. 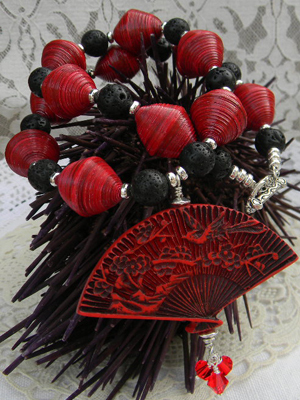 I just love the carved red fan pendant. I always have this fascination with fans, it reminds me of my mother, she always carry a fan in her purse that smells of perfume. 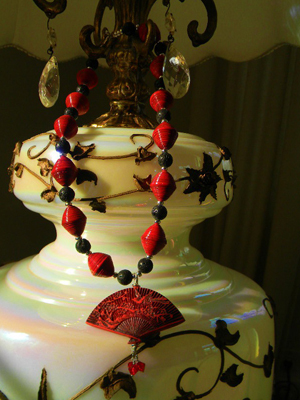 The red painted bicone beads are just perfect with these, it has that same matted red color. My first choice was to use gold findings because that would be more “Asian”(y) look, but it would be too much and silver will go with most things. I love the romantic look to it. 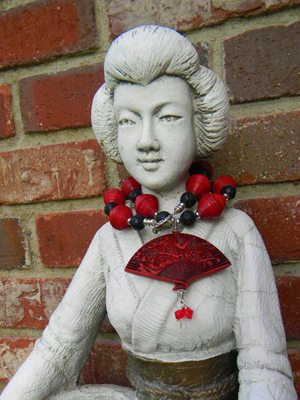 This necklace is very original! I also prefer the silver finish with … it is more fashionable! This is gorgeous. What a beautiful combination.